The improvement of the graduate experience and the further development of the new SERU Graduate Student Experience Survey will be discussed in Hannover on October 4-5, 2018. On October 4-5, 2018, the first gradSERU Symposium will be held in Hannover, Germany. The Symposium will provide a forum to analyze responses from the new SERU Graduate Student Experience Survey (gradSERU), to discuss further development of the survey instrument, and the challenges faced by top research universities to improve the graduate experience and to be competitive for talent globally. The SERU Graduate Student Survey (gradSERU) reflects the importance of understanding and seeking improvements in graduate education in an era of increased global competition for talent. The purpose of the gradSERU Survey and Consortium membership is to collaborate in collecting survey data on the background and experiences of doctoral, masters, and graduate professional students and the outcomes of attending top-tier research-intensive universities in the US, Europe, and throughout the world. In 2018, at least nine universities will have participated in gradSERU, including the University of Toronto, University of Minnesota, Michigan State, University of Pittsburgh, University of Delaware, Bremen University, Göttingen University, Lund University, and Utrecht University. Representatives from campuses that have or plan to administer the new gradSERU Survey, along with representatives from prospective SERU campuses that are interested in administering gradSERU are invited to participate. Please contact Irina Shcheglova at i.shegl@berkeley.edu if you are interested in participating. Please find the program in the column on the right. The symposium language is English. 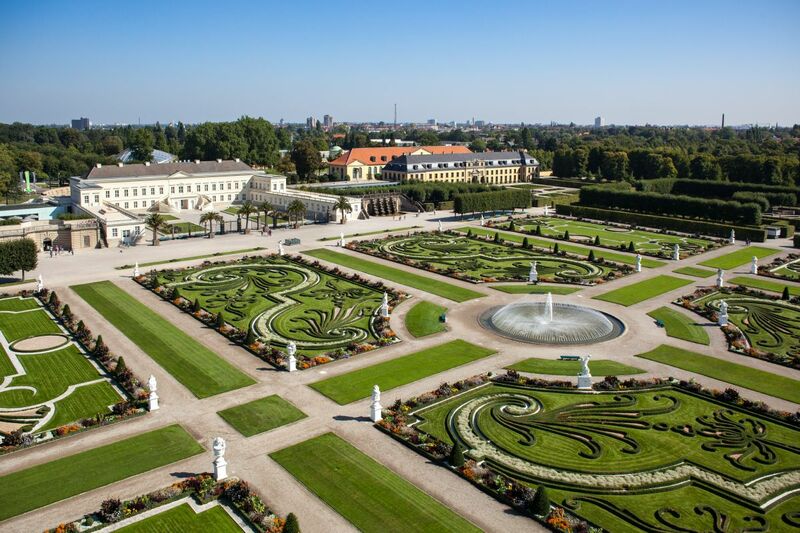 The Symposium is held at Herrenhausen Palace in Hanover, Germany. You can reach the venue by tram: Take line 4 or 5 and get off at "Herrenhäuser Gärten". The generation of institutional, comparative, and longitudinal data on the student experience in research universities, including administration of on-line census SERU Undergraduate and Graduate Surveys. Sharing of best practices and SERU data among member universities under agreed protocols. Promoting and supporting the systematic use by Consortium members of data and analysis as tools for policy and scholarly relevant research and institutional self-improvement. Development of research collaborations and studies related to the student experience. Providing a global network of peer universities with similar challenges as goals.